Today getting around is easy. There’s a way of getting from A to B in most places, aside from the countryside, where bus services appear to be sporadic at best. Anyway, ease of transport wasn’t always a given. The combination of horse and cart gave the gentry a way to get around in privacy for centuries, but then the motor car came kicking and coughing into existence. The rest, as the cliché goes, is history. Like the horse and carriage before them, Porsches were (and still are) a fantastic way to get around. The current 911 owes its lineage to something rather unexpected and a fit of apathy. Without those two, there would be no Panamera, Cayenne or 911 today. In 1931 Professor Ferdinand Porsche founded his self titled company in Stuttgart. Rather than build cars, Porsche and his team concentrated on consultancy and development work. However, not long after the company sprang to life Porsche and his team received their first assignment – design a car for the people. And lo, the Volkswagen Beetle was born. 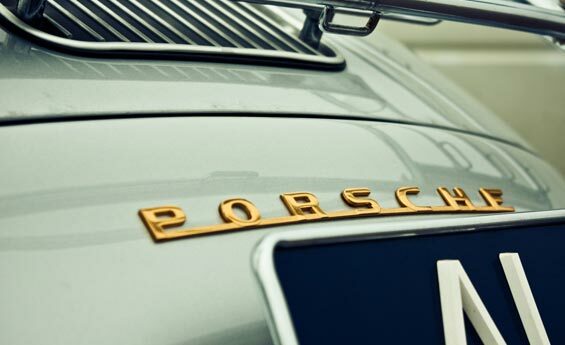 But so to, was the first Porsche, the 64, which shared many of the Beetle’s parts. Fast forward some years later, to 1947. Ferdinand Porsche Senior had been arrested (not tried) for war crimes, his position on VW’s board had been lost and he was imprisoned for 20 months. During which time his son, Ferry, became bored with the cars on the market. It was then a prototype 356 was built, shown off, refined and put into production. The first 356s rolled off the line in 1948 and continued to do so until 1966 when the 911 was born. A year prior to the 356’s inception in Italy the concept of a large, expensive sports car was a little beyond the pale for the newly formed Vespa. Formed by Enrico Piaggio, Vespas were designed to get Italy moving after the devastation of World War II. In 1944, Having been inspired by the pre-war, American-made Cushman scooters, Piaggio and his team devised a scooter which kept all the oily bits hidden within bodywork. As well as that, it featured forced air cooling, dinky wheels, a tall seat and handlebar mounted controls. And lo, the Moto Piaggio 5 prototype was born. Two years later the brand was officially formed and the Vespas we know and love were put on sale. After a slow start, payment schemes were introduced and the brand flourished. Another brand which took inspiration from the Cushman scooter was Lambretta. In 1922 Ferdinando Innocenti founded a steel tubing factory near Rome. Nine years later he moved it to Milan, refining his techniques and employing thousands of people. However, World War II took its toll and his premises’ were destroyed. Rumour has it that while Innocenti looked over the wreckage he saw the future of small, cheap transport. To realise his dream Innocenti commissioned General Corrandino D’Ascanio (who designed and built the first modern Augusta helicopter). His brief? The vehicle had to be easy for both men and women to drive, take a passenger and keep the driver’s clothes clean. D’Ascanio filled the brief perfectly and the Lambretta launched in 1947. One thing that wouldn’t have been a worry to Lambretta is the stunning Alfa Romeo 2600. To couple the 60s cash boom, the 2600 was made to look good and go quickly. It did both very well. 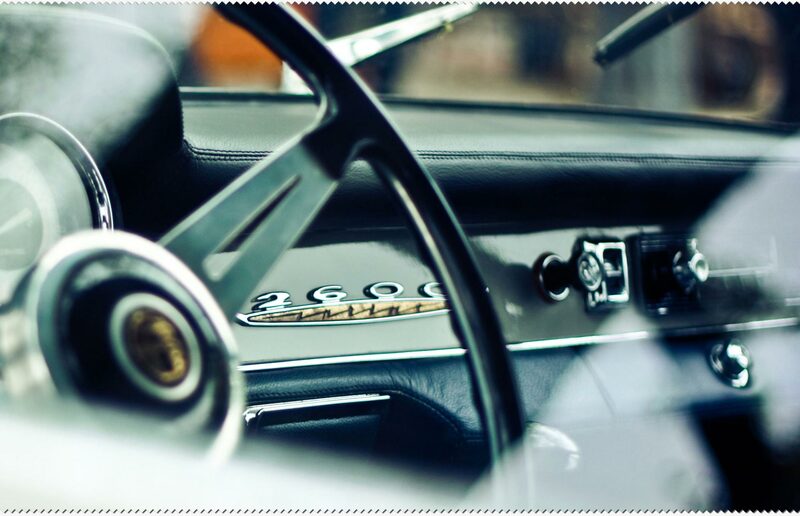 At its 1962 launch it came as a saloon (Berlina), convertible (Spider) and a coupé (Sprint). It was the last Alfa to feature a twin cam inline six cylinder engine. The Italian police even bought a brace of 2600 Sprints for use as patrol cars. The model didn’t take off as Alfa would have hoped, but they command decent values today, often sought out because of their comparative lack of popularity compared to other models of the time. Fast forward to today and there appears to be one rather fantastical way to get around. Forget scooters, VW Beetles (especially the new one) and sleek Italian sports cars. The Pershing 88 yacht is a more refined way to travel – its 88 feet long, full to the rafters with luxury and even comes with a Seadoo, if that’s your thing. Your crew of four will look after your (and your seven guests’) needs, so there’s nothing to worry about – other than how long you’ll need to get to any given destination at its top speed of 27 knots. Now, given the choice – would you rather take the Vespa or the Perhsing 88?